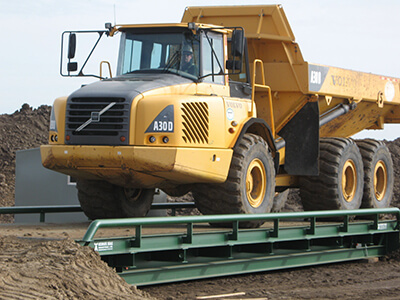 Portable Truck Scales - Accurate Scale Industries Ltd.
PT300™ scales set the industry standard for portable, self-contained, compact wheel load scales, and have done so for decades. They are most commonly used to maximize legal payloads with concern for violations and reduction of maintenance resulting from an overload of stress on equipment. 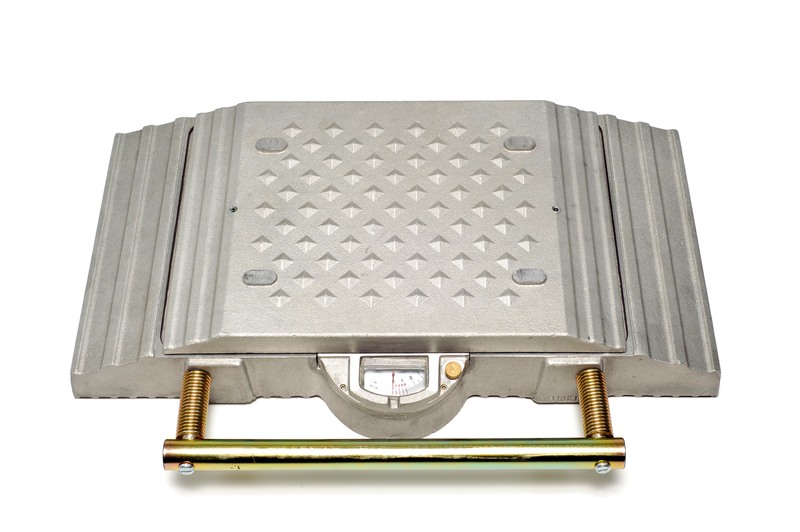 These all aluminium, fully electronic scales are able to weigh up to 40,000 lbs (18,000 kg) with an accuracy of ± 1%. Progressive developments in weighing technology have unlocked the key to improving on this tried and tested industry norm. Finally, battery life has been thoroughly improved through the use of solar panels that will power the scales for almost a full year before requiring direct power charging with daytime outdoor use. 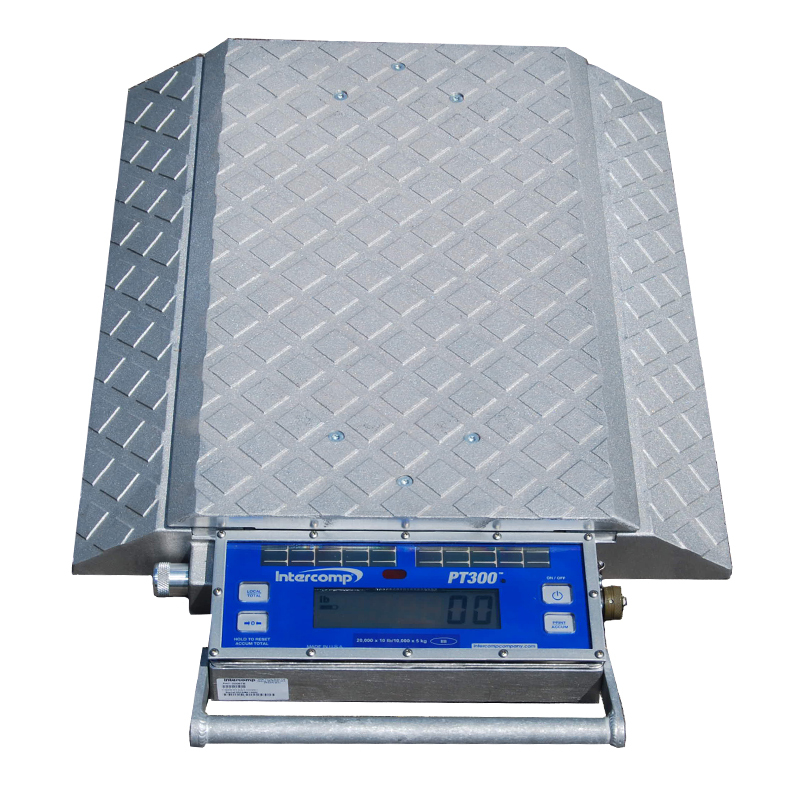 Today, PT300™ scales are built with fully integrated RFX™ Wireless Weighing Technology providing the ability for scale data to be received, recorded, and observed on a variety of indicators; as well as control scale functions remotely. The AX-3040 axle scale is easily portable and available in multiple lengths, comprised of either aluminum or steel, the AX-3040 axle scale is totally customizable to your needs. The indicator connects to the weigh pad up to fifty feet away for position flexibility. End Loading Capacity: 100% full scale at 30,000 lb and 75% full scale at 40,000 lb. The GEC MD400/500 is a heavy-duty truck axle scale that is perfectly suited for any portable vehicle weighing application. The lightweight unit is surprisingly easy to pick-up and move. It is accurate, portable and dependable. This is the reputation the MD400 & MD500 scales have earned over 45 years of highly demanding use in commercial truck weighing, cargo and heavy equipment weighing, law enforcement, military deployment and industrial applications. Lightweight: Weighing in at just 43 pounds, the overall construction of the MD400 and MD500 is made of high-strength aluminium which provides rugged yet remarkably lightweight capability. Versatility: The MD400 and MD500 Portable Wheel-Load Weighing scale is a mechanically operated Static Scale, specifically designed to measure the weight of a wheel resting anywhere on the weighing surface. Ease of Use: These scales are carefully calibrated at the factory so that no field adjustments are necessary. 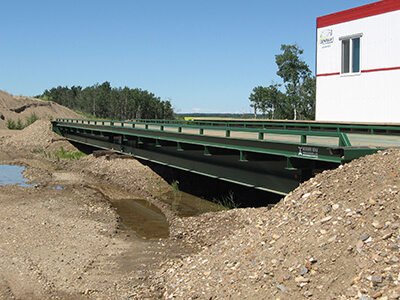 The low angle ramp slope of 20 degrees and nonskid bottom provide climbing ease and greater stability thereby increasing safety to the operator. All critical mechanisms are contained in a durable, dust-proof enclosure, that can withstand extreme climate conditions. For nearly 54 years, GEC has led the industry in the design, manufacture and marketing of truck weighing equipment. Moreover, GEC continues to improve equipment so that it is more efficient and less costly. The MD400 and MD500 portable scales are designed and built for simplicity, ruggedness, and reliability, even in extreme conditions.